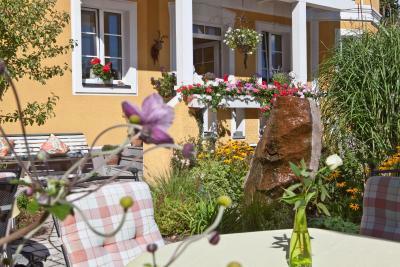 Lock in a great price for Hotel Villa Klothilde – rated 9 by recent guests! I booked after midnight for the following night and was able to check in at 9am and go off skiing for this one day in Zell Am See. 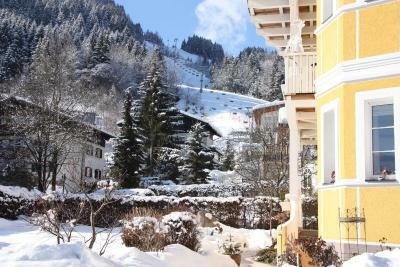 The property is located just a minute or two walk from the train station and maybe twice as far from the ski lifts. 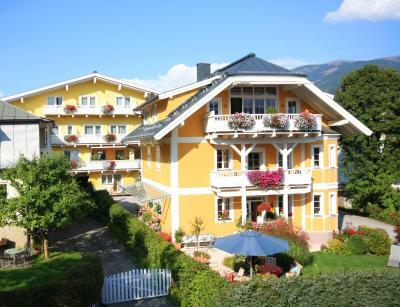 It was a lucky find for a single room for only one night, but I will not hesitate to return to Villa Klothilde for a longer stay on a future trip to Zell Am See, which I also thought was an excellent ski resort and look forward to visiting again next season. Excellent breakfast! 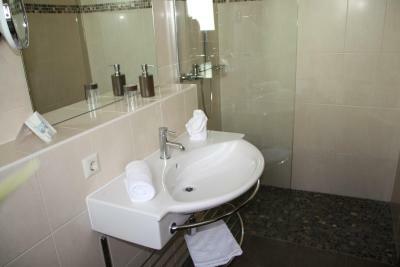 Very clean rooms and bathrooms! The staff is very helpful! 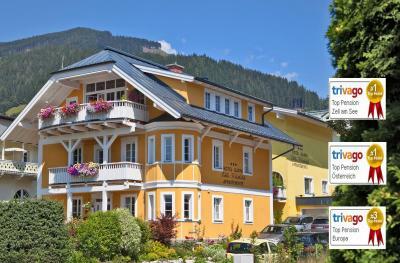 Location is also good near a ski lift and also walking distance from town center. Loved the cleanliness and the nice staff. They stayed up later to greet us upon our arrival as we were late. The breakfast was very nice and the facillities very beautiful. The main hotel where breakfast is served is lovely (photos). Hotel room we stayed in is in building behind main hotel building. We had a nice balcony & had a partial view. Parking on site. Room had nice sitting area as well. Friendly staff. The complete experience. Friendly family business. Everything, especially the cereals at breakfast time, very good ! 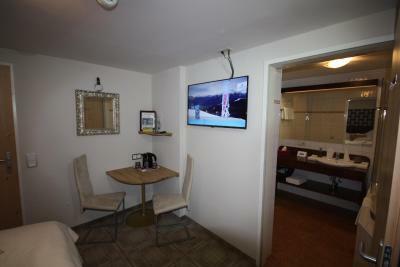 The staff were very helpful and friendly, the apartment was in a good location for the ski lift and restaurants. 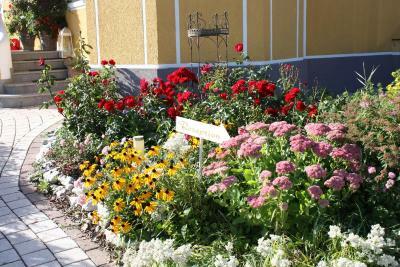 The location was great, at the city center only about 150 meters away from the train station. Cozy and warm. The breakfast was good except the behavior of one particular staff member. Great localisation, atmosphere and nice personnel. Every where was so close. This property has really good location only two minutes walking from the train station! The room is really clean and comfortable! The check in time is 2pm and we arrived at 10am and they let us get to our room! So friendly and lovely staff!! We could leave our staff at the reception after checking out!! 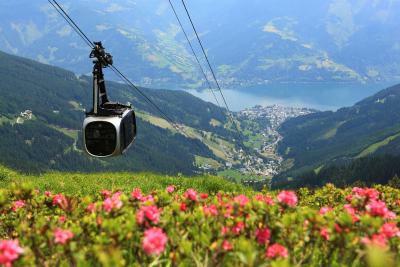 Is the best place to stay in Zell am see!! One of our top picks in Zell am See.The Hotel Pension Villa Klothilde enjoys a quiet location in Zell am See, only a 2-minute walk from the center and the lake, right next to a ski slope and a elevator of the Schmittenhöhe Ski Area. Free WiFi is available in the rooms. If there is enough snow, you can ski right down to the front door - no need to wait for a ski bus. In summer, the hiking and mountain biking routes also start right next to the hotel. 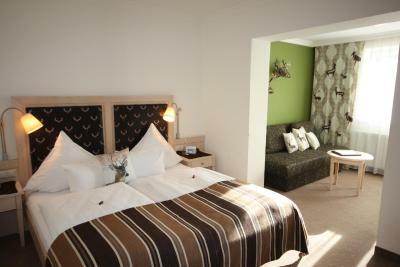 All rooms of the Hotel Pension Villa Klothilde have been refurbished over the last few years and offer up-to-date style. 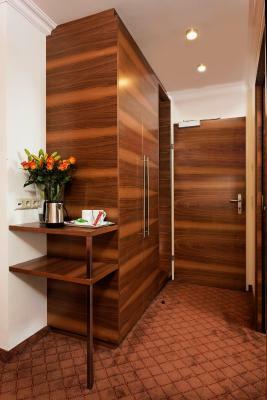 A rich buffet breakfast is available every morning, and free private parking spaces, subject to availability, are provided in front of the Hotel Pension Villa Klothilde. 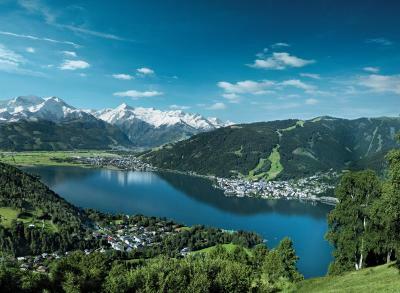 Hotel guest get a 25% reduction on green fees at both 18-hole golf courses in Zell am See and further reductions at other courses in the area through the Golf-Alpin-Card. 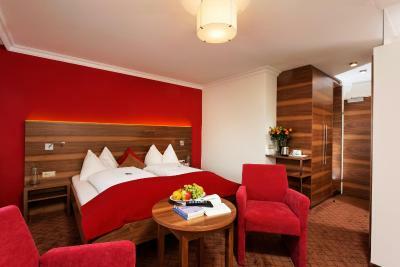 When would you like to stay at Hotel Villa Klothilde? 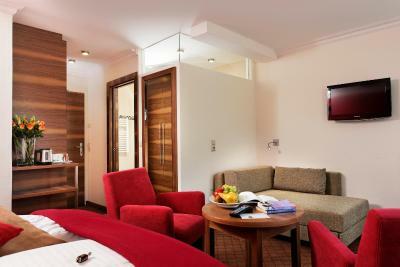 Room with a flat-screen cable TV, tea or coffee making facilities, a bathroom, and a balcony or a terrace. Free WiFi is available. Please note that extra beds are not available in this room type. 1 baby cot is available. This room offers natural materials and a warm color scheme. 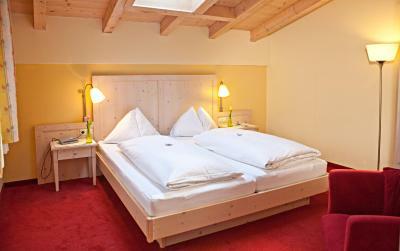 The bed and the stylish furniture are made from Swiss stone pine. 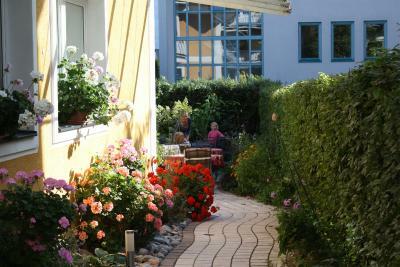 The covered terrace is decorated with flowers in summer and provides coats and blankets in winter. 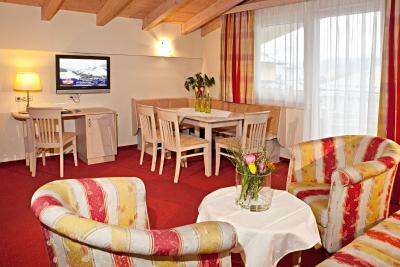 Room with a flat-screen cable TV and tea or coffee making facilities. 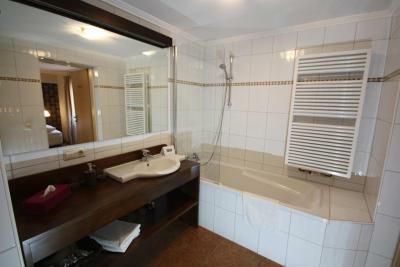 The room comes with an private bathroom. 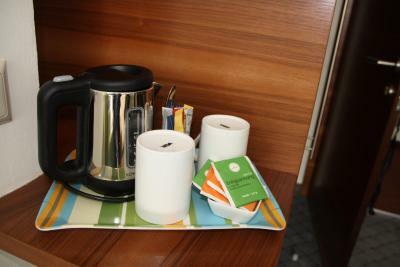 Rooms feature a balcony, a seating area, a flat-screen cable TV and tea or coffee making facilities. Free WiFi is available. 1 extra bed is available on request. 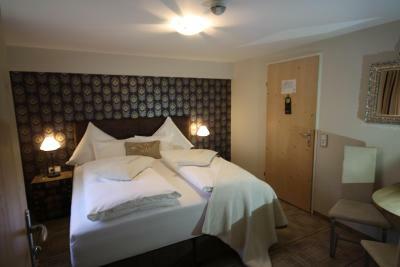 Room with a box-spring bed, an oakwood cupboard, a natural color scheme, an LED TV, a Nespresso coffee machine, a tea corner, and a spacious room with a bath. This apartment has a seating area, electric kettle and tile/marble floor. This studio features a balcony, toaster and electric kettle. 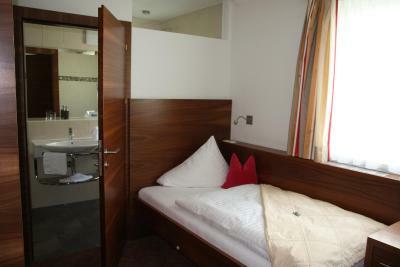 Spacious room with a double bed, a chaise longue which can be turned into a sofa bed for 2 people, a flat-screen cable TV, a tea corner, a bathroom, and a balcony. This apartment has a balcony, electric kettle and toaster. This family room features a cable TV, electric kettle and seating area. House Rules Hotel Villa Klothilde takes special requests – add in the next step! Hotel Villa Klothilde accepts these cards and reserves the right to temporarily hold an amount prior to arrival. In case of late arrival or early departure during the high season, the entire amount of the booking, minus breakfast, will be charged. Didn't like the fact that I only stayed one night! This is a personal opinion but i thought that the bed mattresses are to soft and i had some sore back we i woke in the mornings... but its a small matter in an otherwise excellent hotel! The walkway to the 2nd building where all the guest rooms were located, was icy. The bathroom toiletries could be improved. There was no shampoo, no soap, no lotion. There was only one liquid soap at the wash basin, that’s it. In the breakfast room, one particular staff member seemed visibly offended when we had asked for an omelette without bacon. Excellent location near ski lift. If you're after a perfect place to stay in Zel am See, within walking distance to shops, restaurants, rail, bus and boating, this is it! Room was very clean and quiet, compact but certainly not small. Separate loo. We had requested a mountain view and were delighted to be able to view the lake as well. Genuinely lovely staff (family run). Gorgeous breakfast! While our room was on the 'smallish' side, it was well laid out, comfortable and clean. What we also liked is the staff - it is always a good sign when they laugh a lot together, and are apparently having fun doing their job. 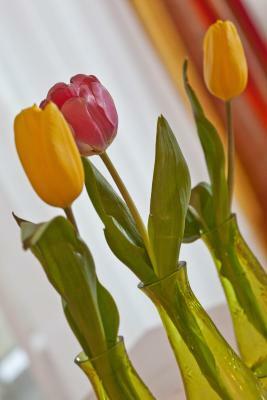 This translates into a lovely atmosphere, where guests feel welcome and well looked after. The breakfast room was located in the second building, but this wasn't a real problem for us.